In all of the popular fairy tales, it seems that the happily ever after sort of ending (the one where you ride off into the sunset toward your castle together) is reserved for the prince and princess types. What sort of chance does that give us average Joes? Don’t we all deserve to have a storybook ending too? Well, we think so and that’s why we’ve decided to even the odds a little for all you guys out there who weren’t fortunate enough to be born a prince. 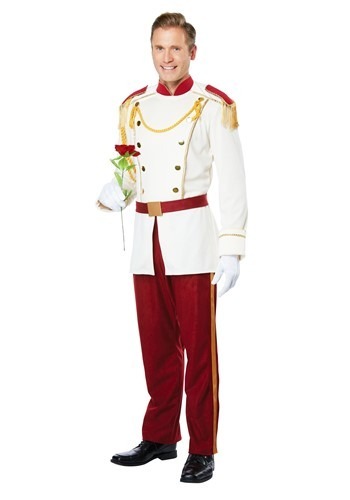 This royal storybook prince costume makes any man look like Prince Charming from a fairytale. That’s right! You can look like the hero of a fairytale without actually being a real prince, just by wearing this classic prince costume for men. 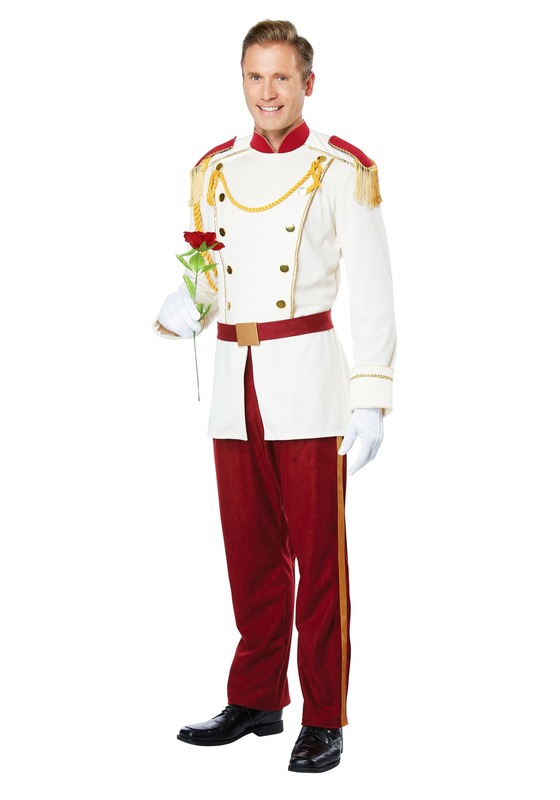 The costume comes with a white jacket-top with plenty of decorative buttons, shoulder pads and gold rope to create the look of a regal hunk, looking for his princess. A set of royal red matching pants also help you finish the look, so you can woo the princess of your dreams with a look as stunning as your charming personality. It’s be like writing the pages to your own fairytale ending. Of course, if you’ve already found your princess, then this is also the costume for you. Why? It’s the perfect complement to many of our women’s princess costumes. You’ll look like a match made in heaven when you show up wearing this sharp outfit and it ought to score you a few bonus brownie points with your significant other to boot!